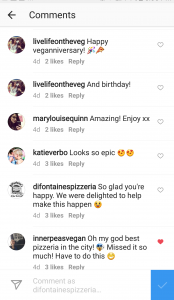 We absolutely love making our customers happy, so when we were approached to help make this young lady’s birthday extra special, we jumped at the chance. 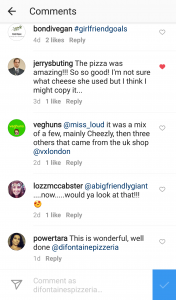 As a vegan she missed our regular pizza’s so much, so her girlfriend organised to bring in vegan cheese that she sourced from a few different places “mainly Cheezly, then three others that came from the UK shop @vxlondon“, and we made her a special vegan pizza all of her own. 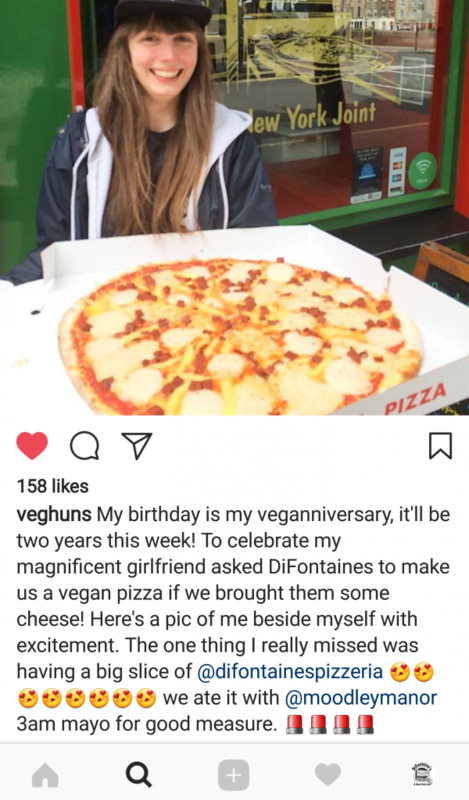 AND as well as being her birthday, it was her 2 year vegananniversary too! 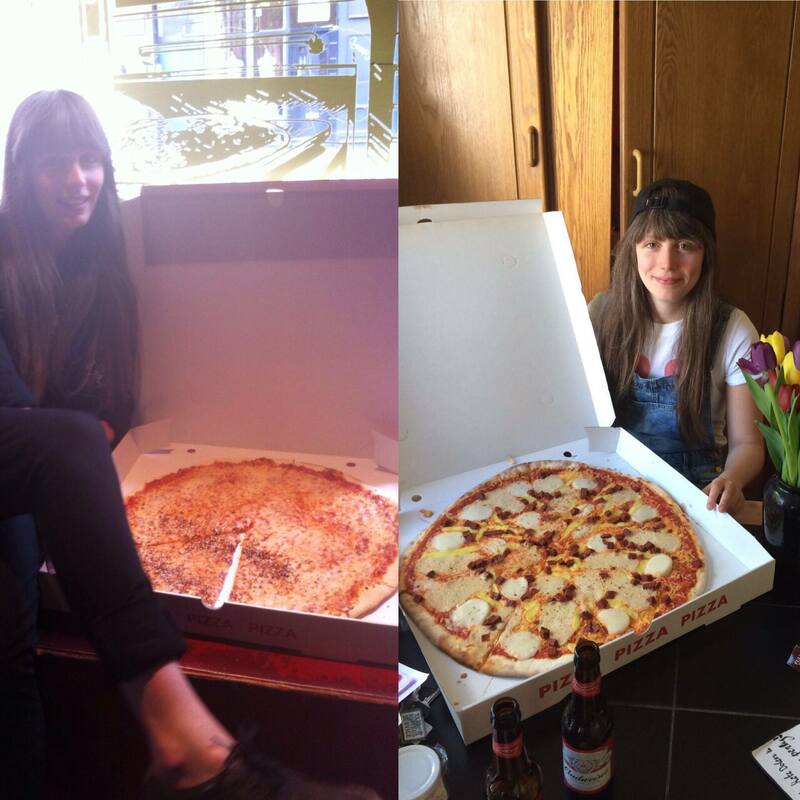 So, what better way to celebrate 🙂 (We also had a little bunch of flowers waiting for her as well). 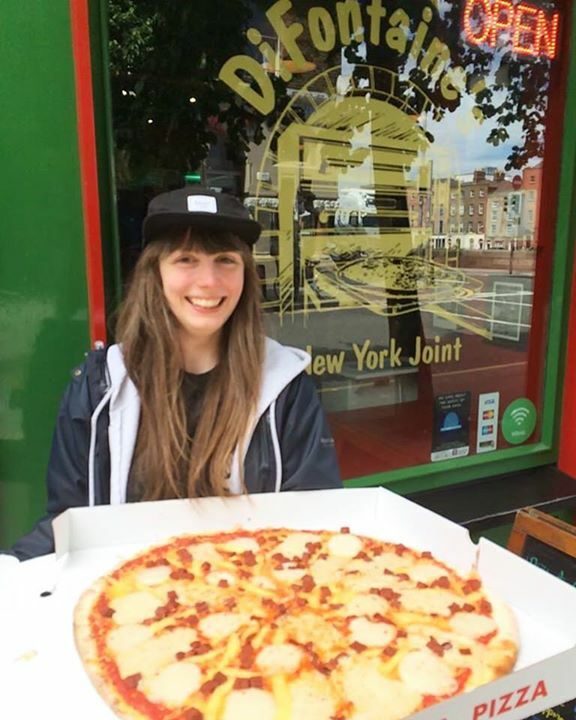 We don’t normally do Vegan Pizza but we are always happy to please our great customers. However, if we find that there is enough interest in it, we may well introduce it so watch this space. 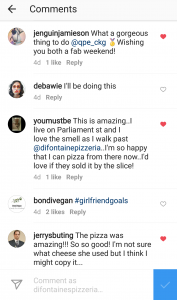 In fact…….think we’ll do a Poll to see if there’s enough interest. So keep an eye out for it. 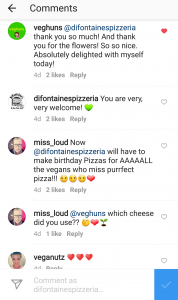 You can find the Vegan girls at IG @veghuns – “3 Vegan gals navigating their way through plant-based eating in Dublin and abroad” and on Facebook @veghuns.